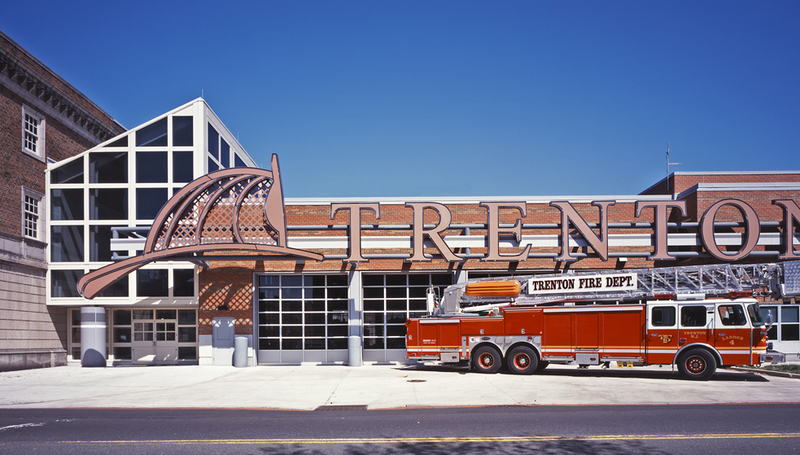 The Trenton Fire Headquarters is a large, flat building with much of its interior space dedicated to vehicles and equipment. As in most firehouses, there are also office, dormitory, cooking, exercise, workshop, and repair facilities. The new structure is adjacent to the original headquarters. The old and new buildings are connected by a public corridor that features views into a fire-fighting museum on one side and the functioning equipment bays on the other. The project was delayed for several years after the design was completed. Mr. DiCarlo was responsible for reviving the project and all aspects of construction administration.